Always an open ear. Motorola treats its flagship to an upgrade while maintaining the tried virtues. Speech control has been advanced even further. Besides that, a strong Snapdragon 801 and a 13 MP camera have been installed. The smartphone can be personalized over the Moto maker and even allows using exclusive materials like real wood and leather. Motorola is certainly heading for fully customizable devices with the Motorola Moto X 2014 bringing a multitude of options. The aluminium framed chassis is curved slightly to fit perfectly in the hand and can be fitted with user selected parts such as metal accents, colorful hues, real wood and even leather. Consumers can also have their signatures laser-etched to give a unique look. The 5.2 inch AMOLED 1080p Full HD panel is rated at 423 ppi and protected by Corning Gorilla Glass 3. Image are sharp and the colors are beautiful. The Android 4.4.4 KitKat device sports a 2.5 Ghz Qualcomm Snapdragon 801 quad-core processor, 2 GB RAM and an Adreno 330 GPU. Combined with the 16 GB or 32GB internal memory, the Motorola Moto X 2014 will certainly be powerful enough for the most demanding users. The rear camera features a resolution of 13 MP, f/2.25 lens and has a dual LED ring flash. The image quality is superb and the device can even capture 4K UHD videos. In addition, there is a 2 MP front camera. 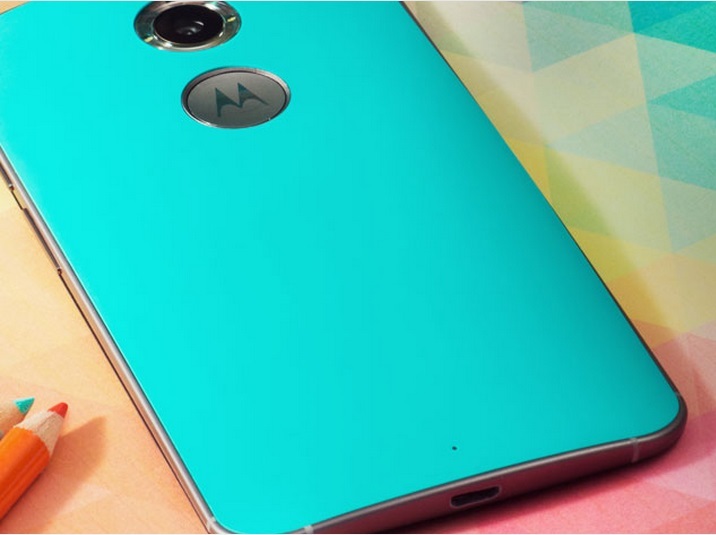 The water resistant Motorola Moto X 2014 packs a 2300 mAh battery cell that allows up to 24 hours mixed usage. 86.54%: This is a good rating above average. Nevertheless you should not forget, that 10-15% of all notebook-models get a better rating.